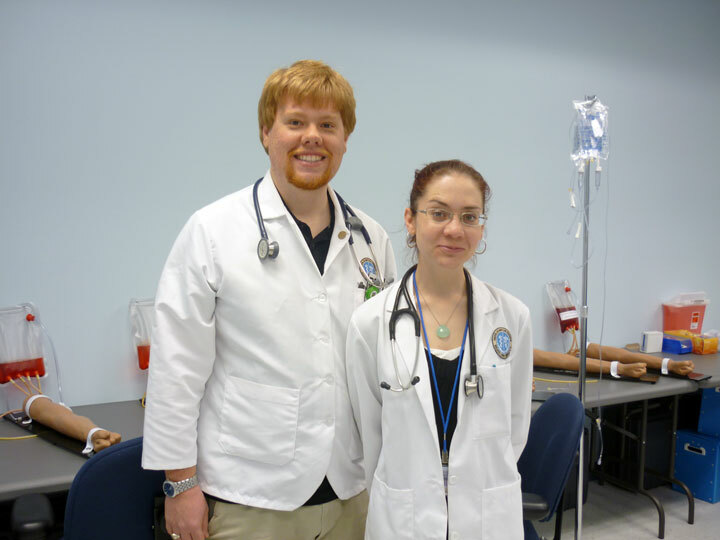 The initiative began through the coordination of two Ross medical students, Stacey O'Brien and Christopher Hancock who are co-directors of the SMP Health Initiative at Ross, which sponsored the database registration and health fair. Christopher Hancock provided more information on the initiative, "Throughout the semester we worked with Dixie Jones, Director of Health Education and Promotions Department, and nurse Yvonne Clark on setting up different programs between Ross and the Grand Bahama Health Services. On this particular project we are also working with Dr. Josephine Bartlett and the Deputy Lab Manager Meritta Strachan." 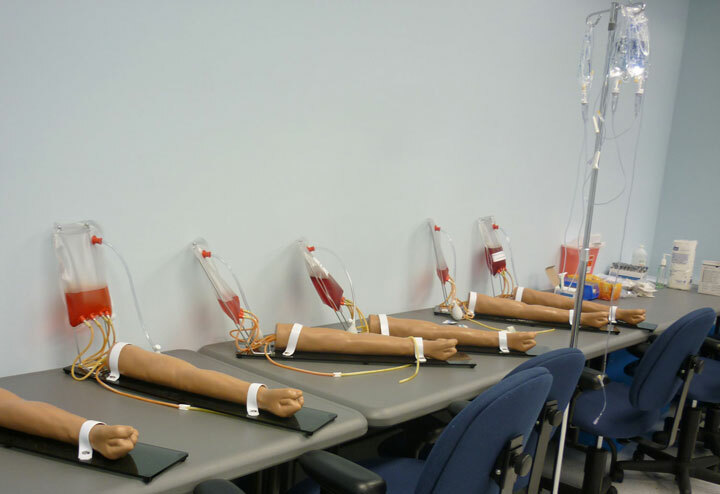 Stacey O'Brien added, "The SMP Health Initiative wanted to aid in improving the blood supply here in Grand Bahama after we toured the Rand Hospital and saw the limited blood supply first hand. We contacted the Lab at the Rand and we learned that a small, but steady blood supply is what was needed to meet the needs of Grand Bahama. 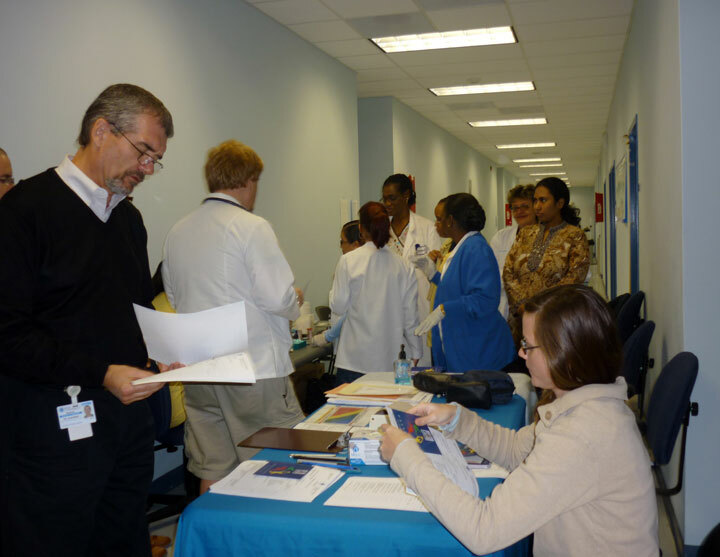 Our desire to help was very well received by the Health Services and it was decided that along with immediate donations, creating a database of potential donors from the Ross Community was the best way to give back to the Grand Bahama Community that graciously host us during our medical education." 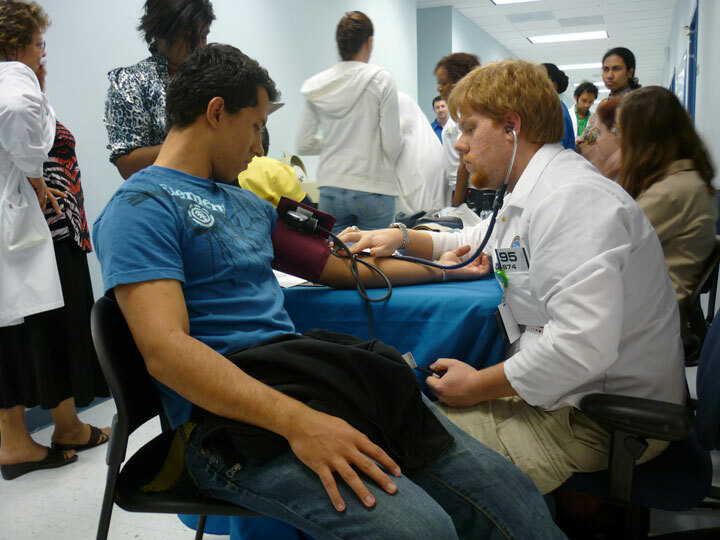 The health fair portion of the event was geared toward the students learning more about their current state of health. Blood pressure, glucose and height and weight measurements were provided and details filled in to a 'Healthy Living Passport' provided by Public Hospitals Authority which allows an individual to document their personal details as well as keep track of their progress (or lack thereof) from one assessment time to another. 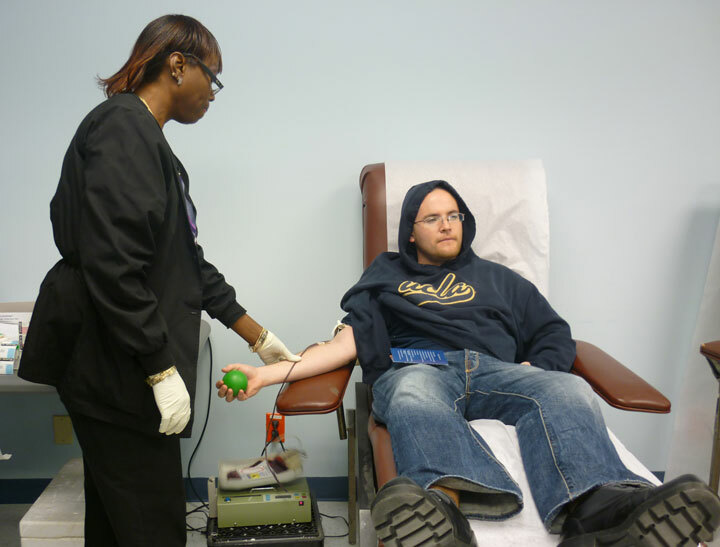 Each individual also filled out a Blood Donation questionnaire. It is important to note that no Ross student performed blood withdrawal, and Rand staff was on hand to do so. 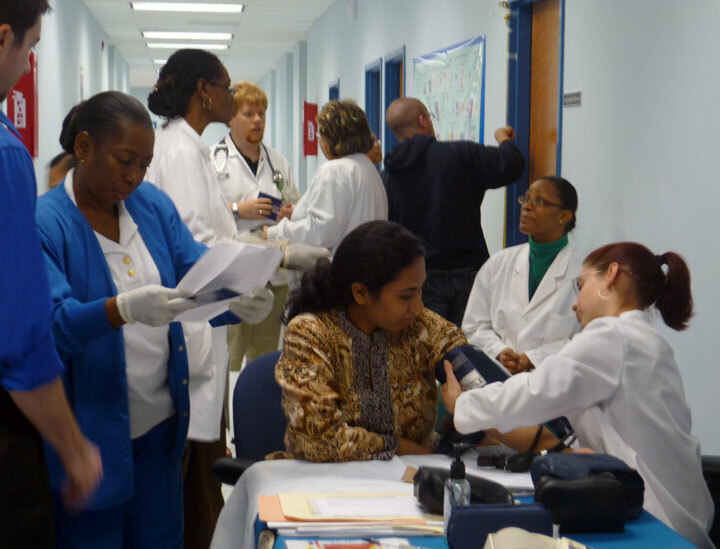 The Ross medical students did however perform all the other testing under the supervision of the Rand personnel. The event was a great success and Ross University plans to continue this initiative in each semester which is three times per calendar year.